Planning to move to a better and bigger house? Just got married and need to a more kids-friendly neighbour hood? Or, it’s all about the real estate investment. No matter what the reason may be, selling your house is no mean feat. It comes with a lot of planning, headache and hassles and even then you don’t always get the value you initially hoped to get. How then can you get the maximum value for your house in NSW? We sat down with the experts at Move Reality to learn some insider tricks of the trade to help you get the most out of your property. Yes they do! If you are thinking of selling your house in NSW then summer is usually the best season to do so. There are more chances of selling your house for maximum price in summer because the weather is pleasant and kids usually have their summer vacations, making it easier for families to move. More families are looking to change their homes in summer than they do in chilly season. If you can wait a little, do so and prepare your house before you sell your house in Sydney until summer. How much you get when sell property? We all know that NSW real estate is driven by the basic rule of the market: “buy low, sell high”. If you are selling property in NSW then you and your real estate agent should decide and agree on the approximate value of the house. For example, you determine your house is worth around $500,000 based on other market considerations and similar properties being sold in your neighbourhood. The next important thing is to understand the price range for the list price – let’s call it the range of “haggling.” For the above assumed $500,000 value of the property, the price range should be somewhere between $480,000 and $520,000. The price range to sell a house in Sydney depends on market conditions, competing properties, time of year etc. The more expensive the property is, the higher the price range. Once you are done deciding the most important factors of selling your house in NSW, follow these 6 expert tips Following are the 6 tips to ensure getting the maximum price for your property in Sydney. This is the 21st century! 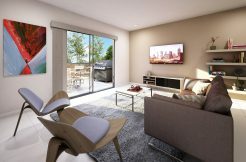 Buyers prefer new homes equipped with the right technology as not everyone wants to spend the next few months “modernising” their freshly-bought property. This is why homes equipped with latest gadgets sell more quickly and get you more money in return than you invest in. Another way you can sell your property in NSW and increase the speed and profit of home sales is by advertising the savings a buyer would enjoy. Solar powered? High-tech, energy-efficient equipment? No matter what it is, turn it into a buzzword and sell it! Reputable agents can balance their needs with yours. You as a seller have every right to question and understand the reasons why your real estate agent has put a certain price for your property. A real estate agent can explain which strategies will work best in the current market. Make your Rental Agent Wentworthville your best friend and together you will be able to reap higher profits. An appraiser is a professional whose job it is to determine the market value of a home. Hire an appraiser if you want more precision than a real estate agent’s market analysis. Invite your friends and family for an open house tour and ask their advice on pricing after your home is in tip top condition, ready to be listed. If you hired a Real Estate Agent, then they can also invite other agents to an open house and ask what they think the price should be. These open houses also turn into quick sales as someone right there in your F&F might be interested in your newly renovated, beautiful Sydney home. The thumb rule in sales is to avoid using a price that ends with a zero. A well-recognised sales tactic is to end a price with a 9. For example $490,000 instead of $500,000. Your Property Agent in Sydney will help you with these and several other insider tricks. Make sure you are only hiring the best of the best to get the maximum value on your home in Sydney. More questions? Need more tips? Write to us at admin@moverealty.com.au if you want us to focus on any particular topic in our future blog posts. Call us at 02 9631 1101 for an appointment.